As you may have heard, Harry Leroy Halladay III is having surgery performed by Sylvester Stallone's brother-in-law on his otherwise invincible right shoulder today. And while I fully expect to hear news that Roy is already in the weight room doing shoulder shrugs with fifteen 45lb plates (one extra for the right side, duh) later this afternoon, or that he insisted on doing pushups with Joe Blanton sitting on his back eating a bowl of Reese's Puffs cereal throughout the entire procedure, I think it's fair to pause a beat and reflect. This bolg started merely as a silly gag that I never expected to gain anywhere near the level of its current readership. But somehow, many thousands of you now read it every month, and for that, I am incredibly grateful. A lot of that traces back (and bear with me here) to the truly heroic, and stoic, nature of Roy Halladay. It's a lot easier to drop your guard and bow to someone who seems superhuman, and it's only reinforced when the ethic behind that meshes with our value system. He's a special breed of athlete- ruthless, team-centered, humble. I'm not delusional here, I'm a dork. We're all dorks. Compared to Roy Halladay, 99.9% of the people on this planet are dorks. But we own it as well as anyone, donkey nation. The face-breaking one is behind that, because it's pretty damn easy to admit you aren't about to be running steps at 5:30 in the morning when you already have a $60M contract in your back pocket... right next to two Cy Young awards, a perfect game, and a playoff no-hitter. Let's wish him a safe and healthy return. He deserves that, and all of the good things that are awaiting once his recovery is complete. We might all be dorks, but very few of us have your ability to write baseball-related parodies of english poetry. Keep doing what you do, zwr. a tear. in my eye. a little choked up here. love you, zwr. you are one of my favorite things about being a phillies fan. ZWR, I can not thank you enough for introducing me to the magical, magnificence of Roy. I did not know much about HLH III but from reading your bolg over the years, I began to understand how awesome he is. I would schedule my time just to watch when he pitched. I learned never to take for granted what we were witnessing as Phillies fans. And I owe it all to your wonderful bolgs! I, too, am choked up after reading the above and agree you are one of the best things about being a Phillies fan. Can't wait until he returns to his old self to break faces! I feel sorry for the M_ts, Natinals and others that will face him. This morning, as I woke up, and loaded the mental tape for the day (who am I? What do I have to do? What bolg should I read?) my very first thought was "Roy Halladay is getting surgery today" and I prayed on the spot! Get well soon, Roy! We love you and miss you!! Donkey Nation is behind you 110% and those who aren't - well, who would be so stupid as to root against you? FOOLS! PS: Hey, Penguin,yours is the only blog/bolg I have saved to my favorites bar! I read you every day! Wow, so nice to see ZWR getting some love here! I couldn't agree with everyone else! This bolg is one of the very best things about being a Phillies (and Roy!) fan! 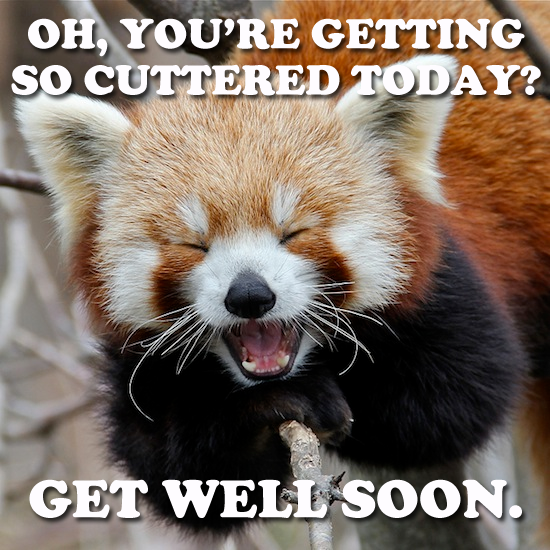 Keep up the terrific work and best wishes for a speedy recovery to our Roy!